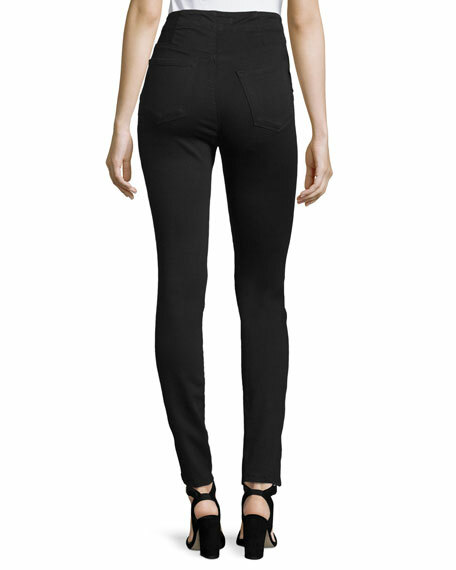 J Brand Jeans "Natasha" cut in stretch-denim. Approx. measurements: 12" front rise; 15" back rise; 30" inseam; 41" outseam; 10" leg opening. Button-slip pockets; patch pockets at back. 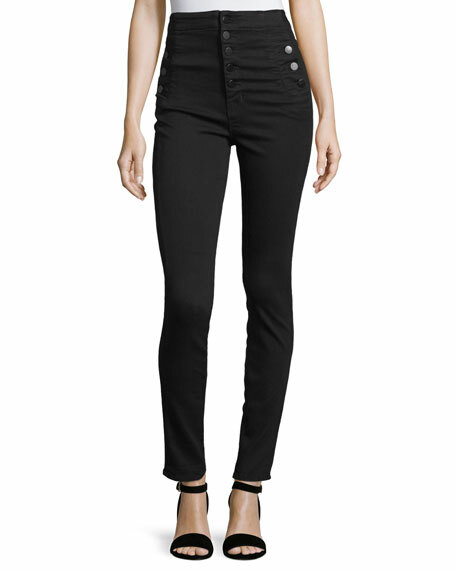 EXCLUSIVELY AT NEIMAN MARCUS FRAME "Le High" jeans in stretch-denim with subtle fading. Approx. measurements: 9" rise, 28" inseam, 37"
EXCLUSIVELY AT NEIMAN MARCUS FRAME "Le High" jeans in stretch-denim with subtle fading. Approx. measurements: 9" rise, 28" inseam, 37" outseam, 10" leg opening. High-rise; belt loops. Five-pocket style. Slim fit through skinny legs. Ankle-length. Raw-edge, stagger hem. Button/zip fly. Cotton/polyester. Made in USA of imported materials.